The Hardware Hour is a breakfast meetup in which Raph Crouan, MD of Startupbootcamp IoT, runs an informal Q&A with a founder who is in the process of growing their hardware startup. 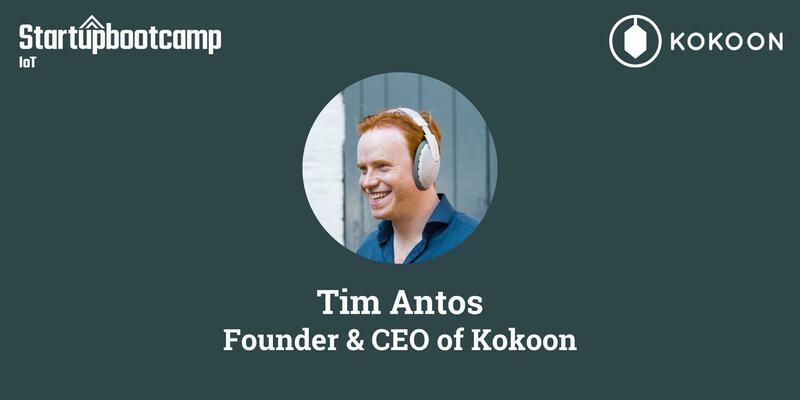 On December 13th that founder is Tim Antos from Kokoon, a company which has built the world’s first sleep sensing headphones. Having previously sold 10,000 units on Kickstarter, they have just raised over £1.4 million through equity crowdfunding on Crowdcube. Hear from Tim about the journey he’s gone through to build Kokoon; what’s worked well; what hasn’t; and the major challenges he’s faced in creating a whole new category and type of device. The Hardware Hour begins at 08:30 with breakfast and coffee provided. Our 25-minute Q&A starts promptly at 08.45, followed by questions from the audience and any community announcements. Finishing up at 09.30, everyone can then head into work a little less hungry and a little more knowledgeable.